Disney's Sofia The First Forest Playset Works With Magical Talking Castle Just $14 Down From $48! You are here: Home / Great Deals / Amazon Deals / Disney’s Sofia The First Forest Playset Works With Magical Talking Castle Just $14 Down From $48! Disney’s Sofia The First Forest Playset Works With Magical Talking Castle Just $14 Down From $48! Here’s a fun Amazon deal. Disney’s Sofia The First Forest Playset Works With Magical Talking Castle is just $14 down from $48! Get yours now while it lasts! 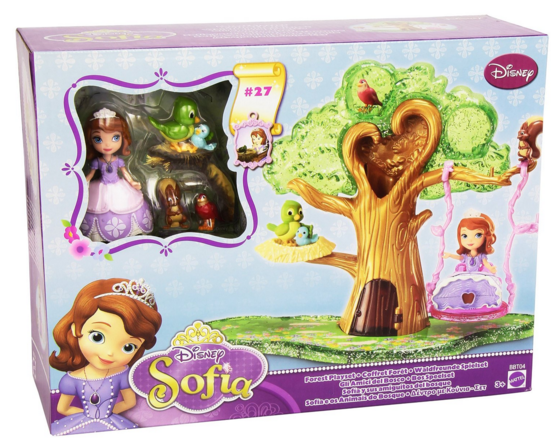 Your little “Princesses” will love playing with their Sofia dolls in this tree set. Made of high quality plastics, bright and vibrant colors.